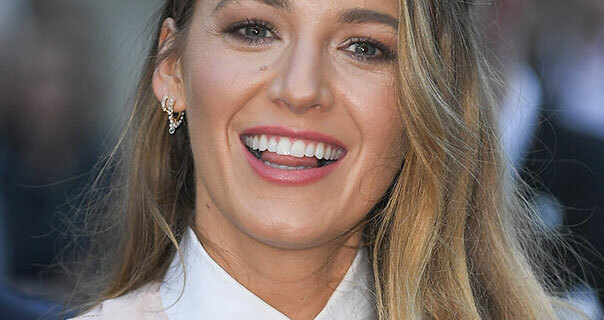 Images of American actress Blake Lively at the premiere of A Simple Favour. Blake wears a long sleeve satin blouse, a satin backed waistcoat and a satin trimmed suit at the event. 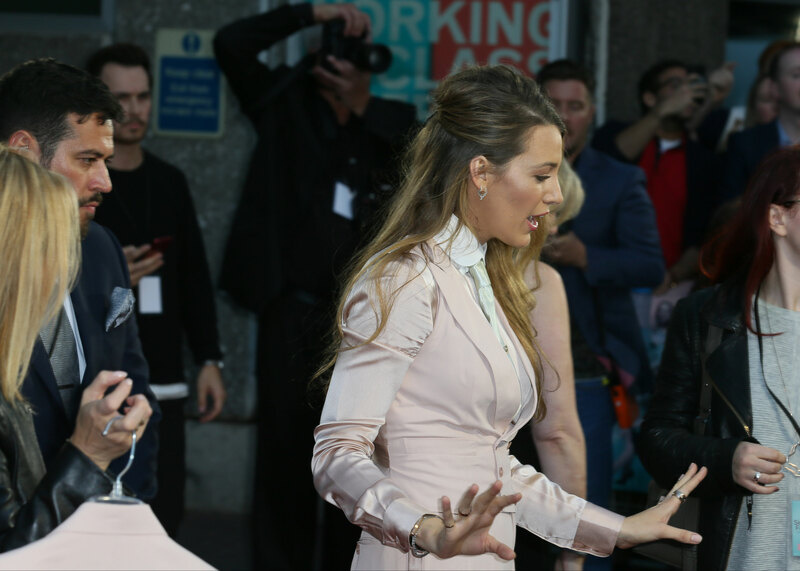 Blake appears in satin in London on the 17th September 2018.